A wife questions her role while attending a Nobel prize-giving with her novelist husband. 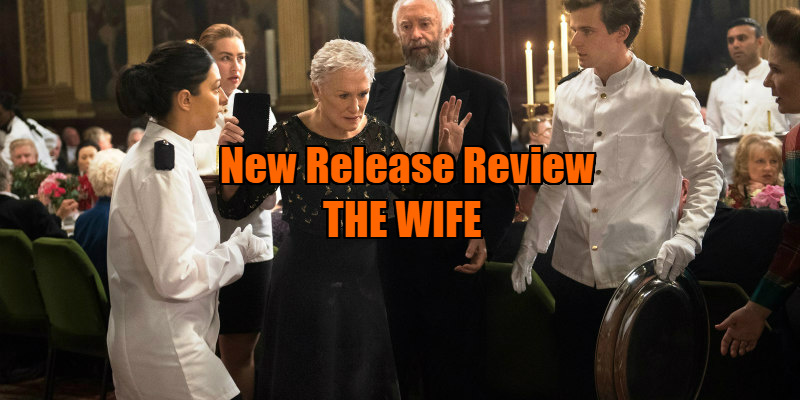 The Wife boasts two of the great leading performances of the year. Jonathan Pryce and Glenn Close are utterly magnetic in this thoroughly intriguing new drama about the difficulty of reconciling a personal life together in the midst of a momentous professional moment. Joe Castleman (Pryce) is considered by his peers to be the greatest American writer of the 20th century. He receives a call from Stockholm inviting him to be bestowed with the greatest award for his written efforts - the Nobel Prize for Literature. Giddily accepting the offer to attend, Joe and his wife, Joan Castleman (Close), subsequently board a plane, but their celebrations get wrapped up in a period of pain when tensions boil to the surface following major revelations about their marriage, friction with their children, and the opportunity to be unfaithful. This is a story of many layers. For one, there’s the aspect of a long-term relationship and how the little narratives become louder than "My spouse is changing the world with their art." Joe has to deal with the pressure of being put in the greatest spotlight of his life while his health is deteriorating and the scenes behind are rocky as ever. Joan is the artist who has essentially had her work stolen and without credit; behind every great man there’s a greater woman. Celebrity worship is also evident - an air hostess ignores Joan while fawning over the renowned Mr Castleman. The air hostess is one of a few minor characters who don’t really have a strong arc themselves, existing to serve as the themes explored within the two leads. However, there’s personality to the main supporting characters, the son David Castleman (Max Irons) and biographer Nathaniel Bone (Christian Slater). David sees his father as the primary source of his frustration but, as an aspiring novelist, he wants to be like him too, and the paradox makes him suffer. Irons has the right emotions but the Brit thespian can’t quite maintain an American accent. Slater plays a textbook journo who’s seeking the sensationalism for his story, theorising that Joan is responsible for ghostwriting her husband’s whole body of work. He wants to be the biographer of the couple’s lives. It’s a responsibility Joe refuses to grant but Joan is open-minded about the prospect. One of the highlights of Close’s masterful performance is when she wryly tells truthful details of her life in a slightly inebriated state to Bone over dinner and drinks together. What facilitates these incredible actors is a fantastic screenplay, so tight in its plotting (as aforementioned, minor characters have major meaning) and so deep in its character development. 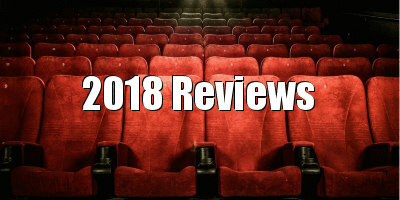 Our sympathies for the characters are constantly challenged throughout the brisk 100 minutes of storytelling as they make decisions that are sensible, rash, impulsive, considered, honest, subtle, open and obscure. The difficulty of second guessing them leads to plenty of surprises, both delightful and horrifying. The delight comes from the fact that the melodrama is offset by many moments of humour. If Pryce and Close’s dramatic talents weren’t already good enough - and they really, really are - their comic delivery easily catches us off-guard for perfect timings of levity. Of course, credit must also be given to the screenwriter, editor and director too for crafting such an engaging work out of a subject that had a chance of being just another rich people’s problems yawnfest. The Wife is as good a thriller as any action-heavy one this year. 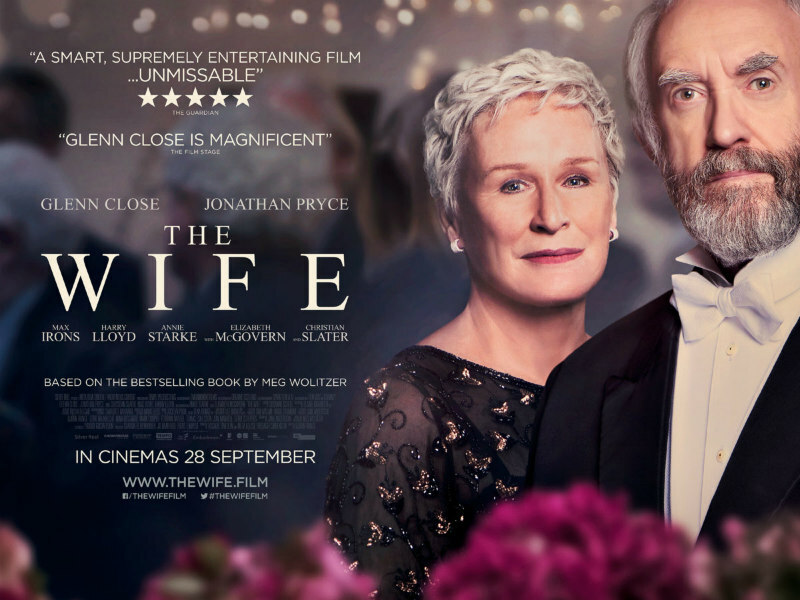 The Wife is in UK/ROI cinemas September 28th.